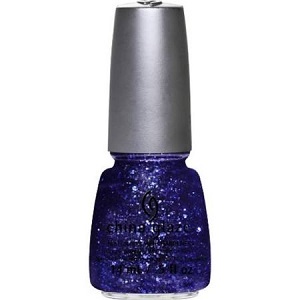 China Glaze Nail Polish, Bling It On 1184, .50 fl. oz. Royal purple multi-sized hex and round glitter mixed with multi-sized black hex and string glitter in a clear base.